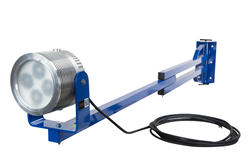 Larson Electronics, a leading industrial lighting company, announced the release of a 60 watt LED hazardous location dock light with a four foot adjustable pivoting arm. This LED dock light is a direct replacement for 500 watt quartz dock lights and creates less heat in the work space while consuming less energy to operate. The HAL-DL-60HV-48 pivoting LED dock light from Larson Electronics provides operators with a powerful and energy efficient alternative to traditional gas burning filament luminaries. 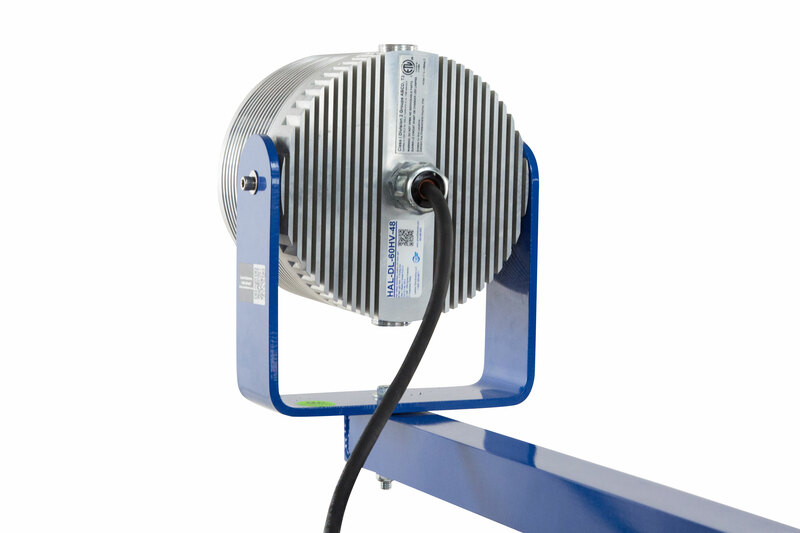 The Class 1 Division 2 LED dock light provides 2,334 lumens of high quality light and is mounted to an adjustable two-part swing arm constructed of lightweight aluminum. The two piece arm design gives the operator more flexibility in positioning the light’s output direction. The copper free aluminum alloy body of the LED light head is powder coated for added durability. A special heat dissipating design, in conjunction with LED technology, helps this fixture achieve an excellent 100,000 hour rated lifespan with 80 percent lumen retention. 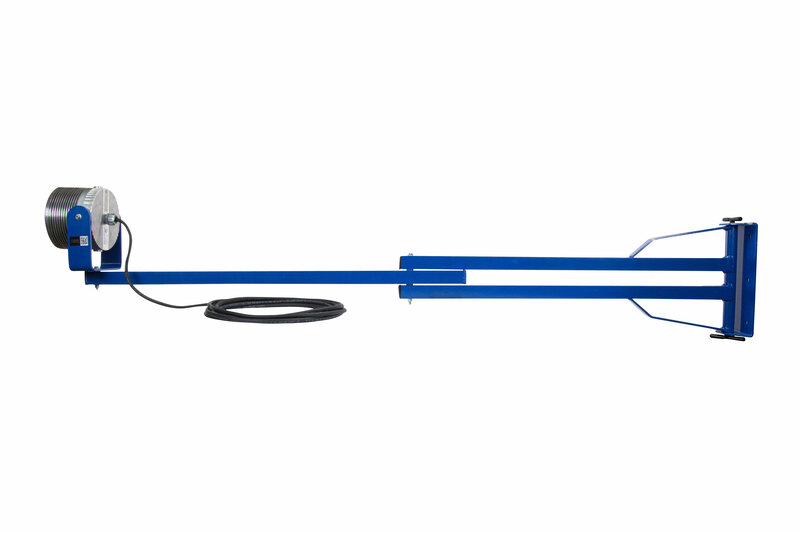 This LED dock light is equipped with a 20 foot cord for hard wiring the unit to a 120-240 volt AC power source. Six predrilled holes at the base of the bracket allow the user to mount this light to a stable surface. The aluminum body and LED lamp gives this light excellent durability and resistance to vibration and impacts. This unit carries an IP66 waterproof rating ensuring protection against ingress from dusts, dirt, oils and water sprayed at high pressures. 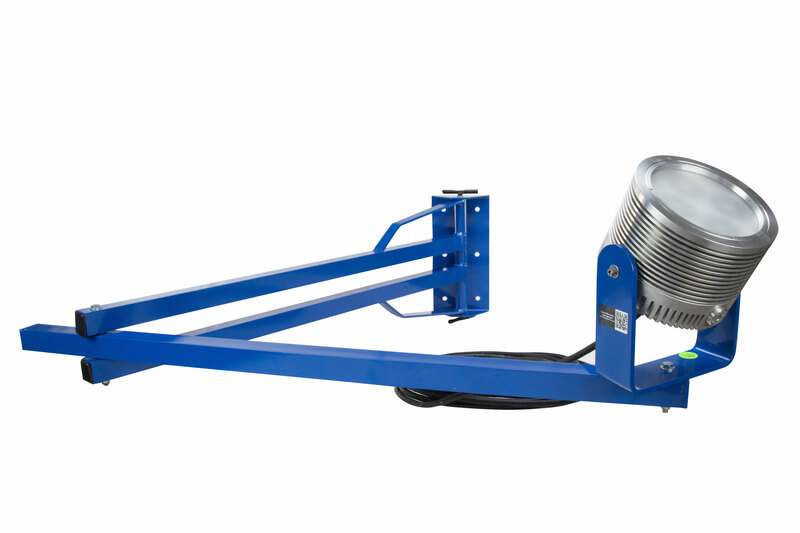 LED technology and the adjustable swing arm design makes this lamp an excellent replacement upgrade option for less durable and efficient halogen or HID loading bay and dock lights. Larson Electronics specializes in portable industrial lighting equipment, high mast light towers, explosion proof light fixtures, power distribution systems, LED lighting and more. To view their wide range of products, visit them on the web at Larsonelectronics.com or call 1-800-369-6671 for more information. Larson Electronics will be attending the 2016 GPS show in Calgary, Alberta from June 7th to June9th. Visit them at booth 4265 to inquire about their lighting solutions for many industrial applications.